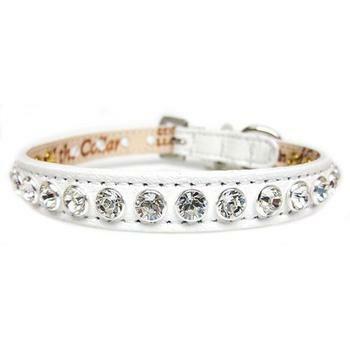 A timeless classic featuring a single row of medium-sized, closely set, Swarovski Crystals. You can choose a single color scheme or alternate the stones to create another look that is beautiful. 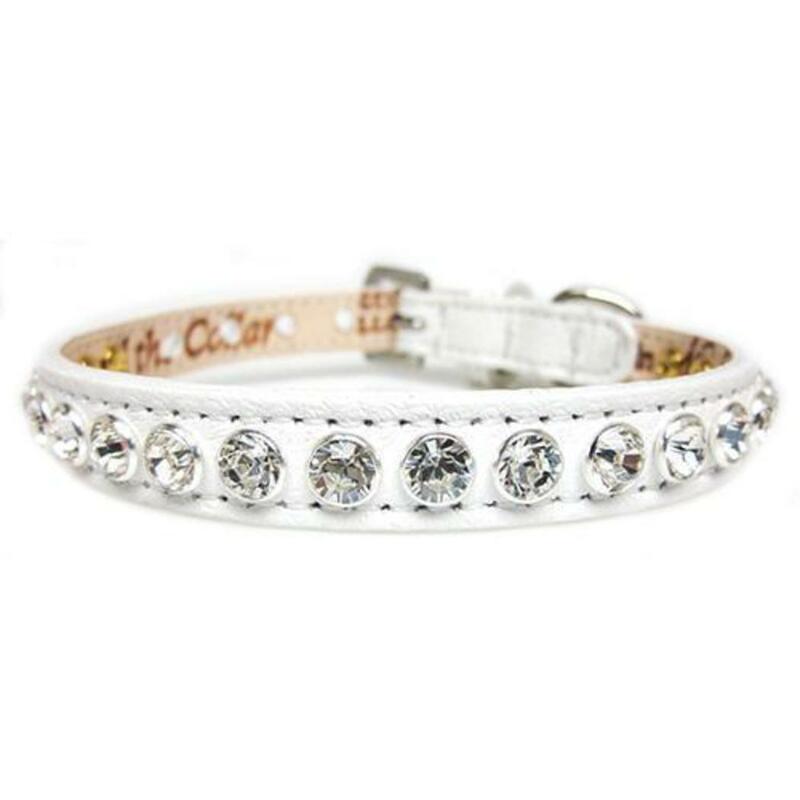 If you decide on all clear, write clear as your color option or pick an alternating color from the stone color chart below, allowing your custom collar either all clear stones or alternating clear with the color of your choice. The Shanti is proudly made in the USA. The smaller sized collars will have the nickel D-Ring closer to the buckle (size 8” -12”) The larger sizes (14” +) will have the nickel D-Ring in the center of the strap (CDR). We estimate delivery as approximately 4-5 weeks but will try our best to get it to you sooner. Quality and attention go into every detail of this handcrafted designer leather dog collar ensuring it will truly be worth the wait.